Sita Balani is an activist and academic living in London. Her PhD research at King’s College London explores neoliberalism and national identity in contemporary British fiction. She is involved in migrant and feminist activism and is also editing an anthology entitled 'Queers Talk Lesbian Notions'. 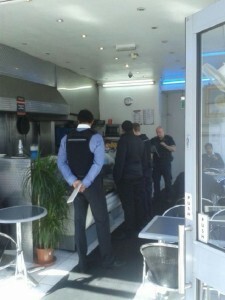 Sita Balani examines Operation Skybreaker, a pilot scheme launched by the Home Office in July 2014 across five of London’s most racially diverse boroughs. She argues the scheme is a worrying harbinger of future government policies and epitomises the Home Office's growing tendency to deploy notions of community, charity and consent in their attacks on undocumented migrants.